Freedom Planet is all about momentum-based combat: navigating around smooth hills and slopes while knocking baddies away in different directions and speeds depending on how you hit them. This intense formula will not be changed. Why fix what isn't broken? 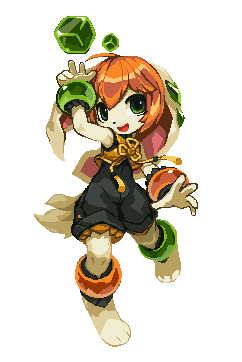 Lilac, Carol, and Milla will all be playable in this next installment and retain their signature abilities. 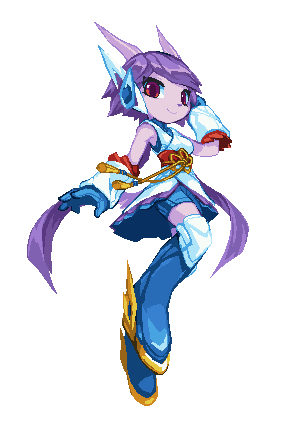 Lilac: Whip enemies with her hair or dart like a comet with her Dragon Boost. Carol: Climb up walls or ride on her gravity-defying motorcycle. Milla: Summon and throw energy blocks or use shields to deflect enemy attacks. Like the first game, the stages will be open and varied enough to approach in two distinct ways: speedrun for the fastest time or explore to collect the most crystals. We found that the players who did each of these things were split evenly down the middle, so we'll continue to keep catering to both playing styles! We found that the number of players that preferred cutscenes was also split pretty evenly. We understand that some players simply want to play a game without plot. With that in mind, Classic Mode is carrying over to the sequel. Meanwhile, those who enjoyed the first game's story will be in for a treat! An ancient terror has emerged from the depths of the ocean. Merga, a water dragon from Avalice's oldest and deadliest war, has been freed from her crystal prison as a consequence of the Kingdom Stone's destruction. Through her acts of vengeance, she holds a dark and terrible truth about Avalice's leaders that will change the history of the three kingdoms forever. War is imminent once again, but this time, the heroes are split between sides. As friendships are tested, will the girls stand united when Bakunawa rises? Note: This is a prototype screenshot and may not reflect the final game. Our Heroines Have Grown Up... Sort of! 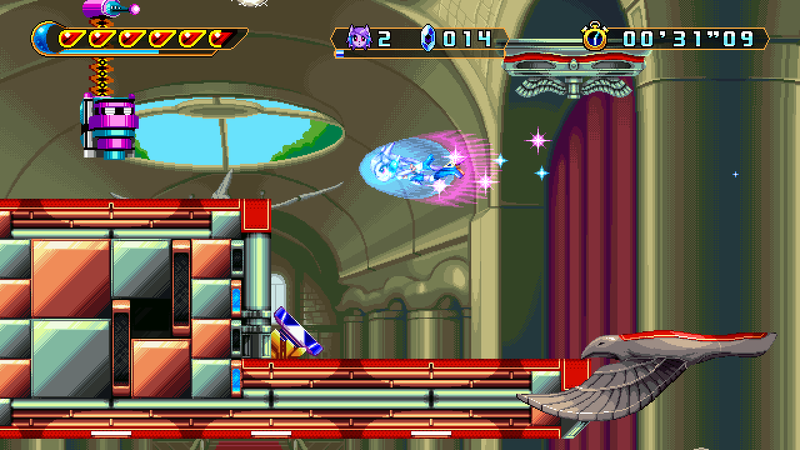 The first Freedom Planet game had a low screen resolution as a nod to retro platforming, but as a result, the characters had to be drawn with exaggerated body proportions for easy readability. The consequence? Well, we dare you to read an article about Freedom Planet that doesn't compare it to the exploits of a certain cobalt-tinted erinaceinae. Freedom Planet 2 is all about advancing and evolving our style into something truly distinguishable, and this should also be reflected in the appearance of the characters. The story justifies this change. It has been several years since the events of the first game, and the girls have undergone formal training in order to strengthen and refine their fighting abilities. They've graduated from coincidental world-savers into full-time heroes! 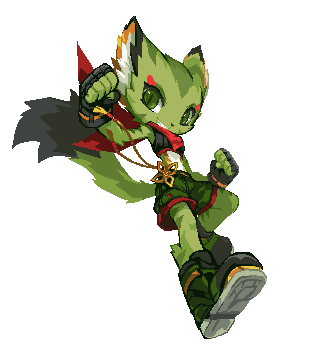 Despite this, they've held on to the characteristics that made them lovable in Freedom Planet 1. Instead of standard difficulty levels, Freedom Planet 2 introduces a flexible difficulty system that lets you change the rules of the game temporarily to make certain stages easier or harder. Using special Gold Gems found in stages or crafted by fusing your regular crystals, you can modify specific parameters: Add more lives, alter attack damage, and more. Gone are the days where you switched to Easy mode reluctantly to get past a troublesome boss - This time, a Gold Gem can tip the odds in your favor! No longer will you have to rely on your special move to avoid damage! By tapping the Guard button, your character will summon a split-second shield that can block or parry oncoming attacks. While highly powerful or long-lasting attacks can't be Guarded against completely, a properly timed Guard will avoid most of the damage and soften the blow. This will allow players to get creative with our boss fights. Imagine fighting a difficult boss, and losing right before you land the final blow. ARRRGH! Normally, you would have to start the fight all over again. In Freedom Planet 2, you'll have another option: Revivals. When you're knocked out cold, you can spend one of your extra lives on the spot to get back up and keep fighting. You'll recover a small number of life petals, so if you're not careful, you may lose yet another life. On the bright side, you'll gain a few seconds of invincibility on revival, which just might be all you need to make a solid comeback. As you can imagine, Revivals will have a more noticeable impact outside boss fights, where you can search for life petals to restore yourself to full strength. This helps prevent players from losing a large amount of time by having to restart at their last checkpoint. Caution: Your character can't revive if their body is disintegrated! Our goal is to have a complete beta version of the game ready by mid-2017 with the possibility of a public demo before then. We can’t be any more specific than that at this point. We currently have no plans to crowdfund Freedom Planet 2. If you'd like to support our efforts, consider buying the original Freedom Planet on PC or Wii U for you and your friends. You'll get a cool game and support our team in the process! You can also check out the official soundtrack on Bandcamp and some sweet merch in our Spreadshirt store.